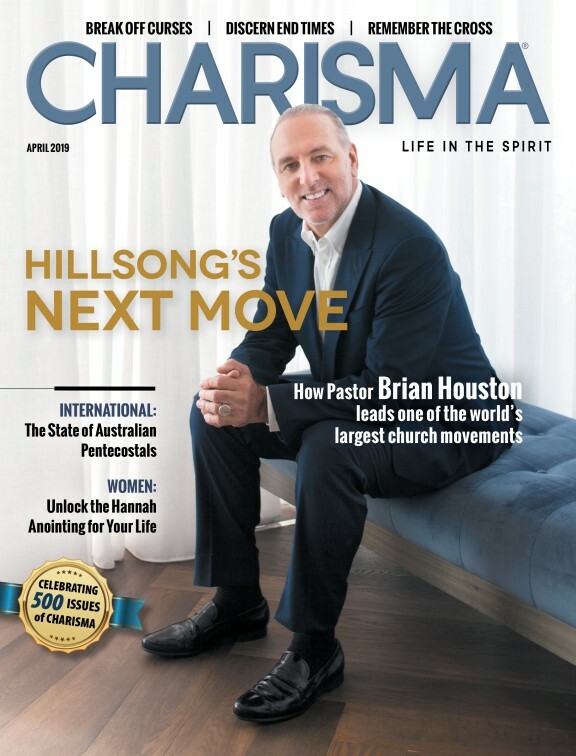 This article was featured in the September 2018 issue of Charisma. Casting out demons is not a game. It is not fun. It is serious, serious business. In this article, I want to unfold five fundamental truths regarding the demonic that one should be aware of. Make no mistake, evil spirits possess some people. The devil would prefer you believe he does not exist at all. But if some demand proof, look no further than seeing a person possessed by the devil. That said, there is a difference between demon possession and demon oppression, although it is not so easy to explain. In a word, oppression comes from without; demon possession comes from within. The devil can—from outside you—put oppressive suggestions into your mind. If you do not reject these thoughts immediately, they will find a place in your mind that militates against your joy and peace. Recognize the devil's suggestion. It will be something negative and fearful. Reject all negative thoughts and all fear. Refuse to think about such. Resist negative thoughts. Don't give in to them. Keep it up. The devil will see he is getting nowhere with you and will leave you. These things said, there is a place for responsible counseling if you can find a godly person who is competent to do this. I myself have had some counseling over the past number of years, and I thank God for it. See your pastor or church leader who can advise you. Demon possession is a state whereby one is virtually controlled by an evil spirit or demon. Two demon-possessed people who met Jesus were so violent "that no one might pass by that way" (Matt. 8:28c). The man described in the Mark 5:1-20 was so violent that no one could bind him, even with a chain. He had often been chained hand and foot, but "he had pulled the chains apart and broken the shackles to pieces" (v. 4b). Living in tombs, he would cry out and cut himself with stones (v. 5). When I say "virtually controlled by Satan," it is because a demon-possessed person at least has the presence of mind to want help: "When he saw Jesus afar off, he ran up and kneeled before Him" (v. 6). Had he been totally controlled by Satan, he would not have been able to run to Jesus. This shows that demon-possessed people want help. They may seem to be people who do not want help. They can be obnoxious. But they need help and want help if it is right there in front of them. That said, demon possession is probably cured by only two things: a responsible person who has the gift of the Holy Spirit to cast out demons and total forgiveness. Even if a demon has been cast out, one must immediately practice total forgiveness or the devil will return with seven more spirits that are more wicked, "and the last state of that man is worse than the first" (Matt. 12:45b). At the end of the day, total forgiveness is the way forward. The devil cannot dwell long in a person who has been completely eradicated of bitterness. Dr. Martyn Lloyd-Jones told me what to do when you come face to face with a demon-possessed person. He said first, pray for your own protection, then start repeating aloud, "Jesus Christ is come in the flesh," and then prepare for a violent reaction. How right he was. The apostle Paul showed great wisdom when it came to this matter. Whereas there may be some who see a demon in every bush and rub their hands with glee at the prospect of confronting a demon-possessed person, Paul was the opposite. Acts 16:16-18 (NASB) says, "It happened that as we were going to the place of prayer, a slave-girl having a spirit of divination met us, who was bringing her masters much profit by fortune-telling. Following after Paul and us, she kept crying out, saying, 'These men are bond-servants of the Most High God, who are proclaiming to you the way of salvation.' She continued doing this for many days. But Paul was greatly annoyed, and turned and said to the spirit, 'I command you in the name of Jesus Christ to come out of her!' And it came out at that very moment." Why did Paul not exorcise the demon the first day? Perhaps he wanted to be absolutely sure that the slave girl was demonized and not mentally ill. Or perhaps she did not sufficiently interfere with his ministry at first. Or perhaps Paul wanted to be sure the demon was sufficiently agitated. It is possible that a demon-possessed person could have an evil spirit that lies dormant, as it were. This would be when the evil spirit in a person is not sufficiently stirred up. Such a person whose demon is not angry or annoyed might not be a candidate for an exorcism at a particular time. One must probably wait until the evil spirit manifests. This may be why Paul waited. If the demon was therefore not sufficiently agitated, Paul would almost certainly have ignored her. But he waited. He showed great patience. He eventually became "greatly annoyed." And then he cast the demon out. It is a lesson for people who are in this kind of ministry to learn. The angels are in chains awaiting the day of judgment. But despite their chains, they were free to roam with limitations in order to do damage to the gospel of Jesus Christ. This shows that God permitted them to exist in this way. Why would God allow this? I can only answer: His ways are higher than our ways, His thoughts higher than our thoughts (Isa. 55:9). We cannot figure everything out. This means also that the world of Tartarus—an invisible world—is all around us. For that reason, you and I should pray continually for protection against the devil and his fallen angels. Do you pray for protection? You should. The devil and his angels are in Tartarus as punishment for their revolt against God. They left their home in glory for a home in "gloomy dungeons" (2 Pet. 2:4, CJB). They are in "darkness" (Jude 6, MEV). After the day of judgment they will be sent to "eternal fire, prepared for the devil and his angels" (Matt. 25:41). They know that the time is short, and in the meantime they are "filled with fury" (Rev.12:12, NIV). They are angry, fearful and vengeful, hoping to take billions to everlasting hell with them. Their goal is to enter high places and influence those who control government, entertainment, sports, education, money and politics. They want to stop the gospel from being proclaimed. Whenever they can, they enter human beings created in the image of God because of their hatred for God and His Son. That is the background for demon possession. The world of Tartarus is a strange, invisible and largely unknowable world. I say it again: Don't try to figure it out. God has told us all we need to know. The ministry of casting out demons is dangerous business. It is fraught with all kinds of testing and potential danger. It is not for children. If you can do anything else, do it. The sons of Sceva thought it was fun to go around casting out devils. They seemed to know how to find demon-possessed people, and they went up to them to see what might happen. They had a liturgy they thought would work: "In the name of the Jesus whom Paul preaches, I command you to come out" (Acts 19:13). The sons of Sceva probably learned this liturgy from Paul. Paul's way of doing this was to say, "In the name of Jesus Christ I command you to come out of her!" (Acts 16:18). So they added "whom Paul preaches" (Acts 19:13). What is more, what they did was almost certainly trying to make fun of Paul. These were Jews who hated Paul. But they apparently derived one thing from Paul—there was power in Jesus' name. They seized the notion of Jesus' name and decided to see if it worked. But it backfired. The demon-possessed man instead had an unexpected violent reaction—and unusual strength. He overpowered the sons of Sceva and left them naked and bleeding. There is no sign that a demon or demons ever left the poor man who got the liturgical treatment. The folly of the seven sons of Sceva is a lesson to all. When it comes to the ministry of casting out devils, "no trespassing" is the rule of thumb. 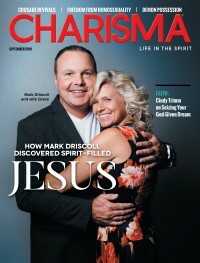 This ministry is only for the Christian—but the fully committed Christian. It is not for the novice, the uneducated or the immature. The ministry of casting out demons is not only for the Spirit-filled but also for one with wisdom. You can be Spirit-filled and lack wisdom. This is why the initial qualifications for the first deacons were for men who are "full of the Holy Spirit and of wisdom" (Acts 6:3b, MEV). The seven sons of Sceva were not even Christians, not to mention being Spirit-filled or men of wisdom. They were foolish men. So will you be if you enter such an arena as this if you are not called of God to do so. Think about this: the unbelieving Jews who wanted to use the name of Jesus—having no devotion to Christ whatsoever—brought on a demonstration of the demonic they were not prepared for. They had the liturgy down to the letter. Their problem was to underestimate the sheer power of that name. Two things followed. First, the evil spirit answered them. I don't think they were expecting that. He answered them, "I know Jesus, and I know Paul, but who are you?" (Acts 19:15). Second, their invoking of the name of Jesus got another astonishing response: The demon-possessed man jumped on them and overpowered them all. He tore off their clothes, leaving them naked and bleeding. That came merely from the use of the name, even if they were trying to have fun. Think about this too: If unbelieving Jews can invoke the name of Jesus and cause such a stir, how much more power should we believers have in invoking the name of Jesus? These Jewish would-be exorcists had no knowledge of the existence of demons that are not only conscious but knowledgeable of things going on in our world. But for some reason, their invoking Jesus' name raised the curiosity of these evil spirits. All the inhabitants of the satanic world were very aware of Jesus. He was famous throughout the world of Tartarus. And the evil spirit quickly recognized the name of Paul when his name was brought into the liturgy. But the evil spirit was unafraid of the men who tried to exorcise it. The question is: Does the world of Tartarus know about you and me? Jesus was famous in hell. Paul was famous in hell. But are you and I known in hell? I want to be famous in hell. I fear that the evil forces of the demonic world are not aware of me at all. R.T. Kendall is an author, teacher and preacher. He was the senior minister at London's Westminster Chapel from 1977 to 2002. He now has a number of books in print.